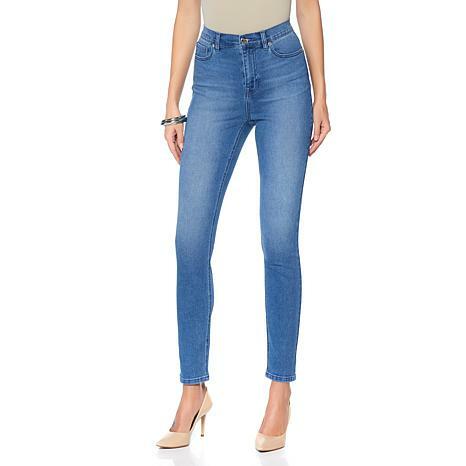 I love Diane Gilman's virtual stretch skinny jeans. 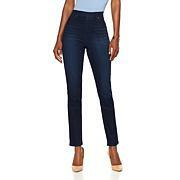 They are so comfortable, look great, wash well and most important for me they come in a tall. I 3 styles of DG2 jeans. They were true to size (did not run small) and uniform in sizing across styles. Fabric was a nice weight, and the stretch to the fabric helps to make a custom fit and keep from stretching loose. I purchased white for summer, and happy to report they are not see-thru. Very comfortable. Pleased with this purchase. Luv these jeans. Purchased 2 pair of 18tall white. Want to be ready for summer and vacation. Incredible stretch and recovery. Length is perfect.